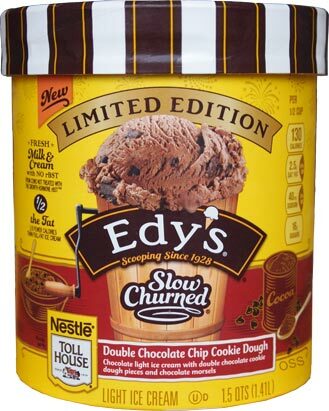 [New for early 2017] I promised back to back reviews with similary named products again so let's see how Edy's Slow Churned takes on a Friendlys flavor of the same name. These were all one piece that I broke apart after they sat out. 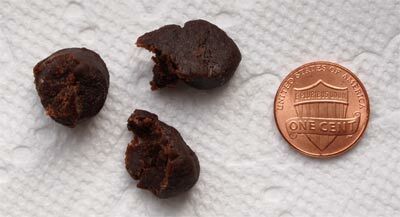 ...I take a bite and then wonder if it's called that because these ultra dense versions of a fudge truffle are super chocolaty. That probably sounds awesome, but go back to that part where I said "ultra dense". Even after letting them temper for several minutes, they are still... odd. 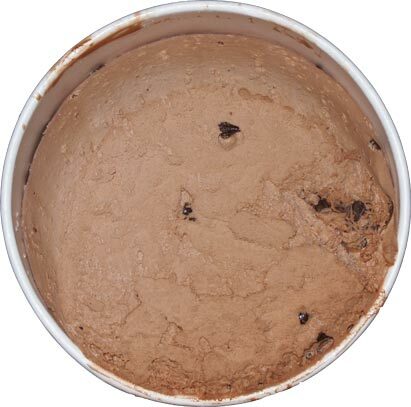 Ewww, Edy's slow churned chocolate base has not gotten any better over the years. It kind of feels like it has a watery component to it. It's.... uggg, just hit another (frozen gum?) chunk. I so regret buying this right now. Do they not try these out in real life? You know, have some employees take them home, leave them in a freezer for a week or two, and then try them that way? I press on through the frozen roadblocks and occasionally get a tiny chocolate chip (yes, they are the same annoying ones as found in yesterday's review). Hey, I actually tasted the slightly chocolatey flour chunk that time. I'm sorry, but I am totally unamused right now. These cookie chunks are just maddening, especially in this substandard base. I get really frustrated when I can't figure out why a company would put out a product like this. Maybe tomorrow will go better with much lower expectations. 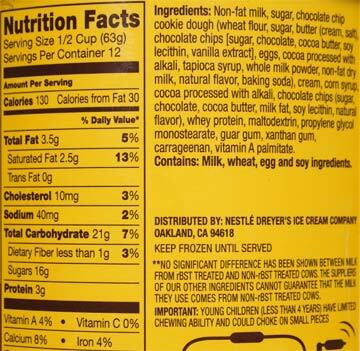 On Second Scoop: I'll keep it simple, avoid this ice cream. It's terrible. Seriously. I don't even want to finish the bowl before me. From the stupid chunks to the off-flavored base, this one does not deserve to be purchased, ever. The only good news is that it's limited edition. Avoid this one until it disappears. 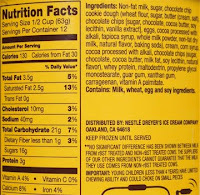 All three of the Edy's/Dreyer's Tollhouse flavors are terrible. Pretty disappointing. 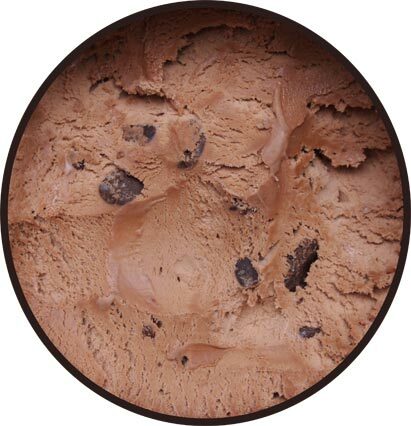 How do the cookie dough chunks compare to the brownies in double fudge brownie? @Waffle: eh? are you saying too much cinnamon in the container you got? I'll be posting my review soon and the consensus seems to be a very strong lack of cinnamon in the base. Let me know! @Sean: it would not surprise me if pb was the most acceptable of the three based on what's annoying me with the other two.